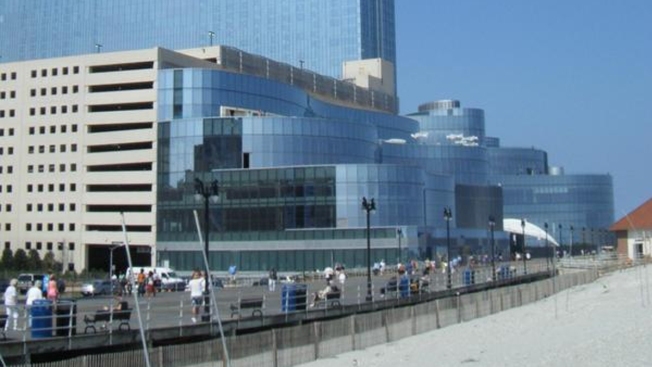 It's too late to save the Revel casino in Atlantic City, but Gov. Chris Christie issued a directive allowing sports betting at New Jersey casinos and racetracks -- a move that may help Atlantic's City's struggling casinos. Gov. Chris Christie issued a directive Monday allowing New Jersey casinos and racetracks to immediately offer sports betting without fear of criminal or civil liability. But his action is likely to be challenged in court by the professional and collegiate sports leagues that fought New Jersey's efforts to overturn a ban on sports betting in all but four states. That effort ended with the U.S. Supreme Court declining to hear the case. The governor says he took his cue from previous federal court rulings that found that nothing in New Jersey law prohibits the casinos and horse racing tracks from offering sports betting. Christie says they can start offering it today, if they like. The move comes as Revel and Showboat casinos have closed and the Trump Plaza is set to shutter later this month, leaving thousands of casino workers unemployed. What Killed Atlantic City's 2-Year-Old, $2.4 Billion Revel Casino?